On 12 November 1946, then Army Chief of Staff Dwight D. Eisenhower issued War Department General Order 135 establishing the U.S. Army Audit Agency. Exactly 70 years later, over 160 current Agency employees, alumni, and their guests celebrated the historic event at the Fort Belvoir Officer's Club with a traditional, Military-style Ball. The first thing attendees saw was a three dimensional photo collage of previous anniversary celebrations in the shape of a "70." Surrounding the collage were invitations and programs of past celebrations. Attendees could also view pieces of Agency history in the categories of leadership, travel, communications, and organizational structure. These themes displayed former civilian Auditors General, the countries and cities auditors visited for Agency missions, strategic plans, and growth and reduction of audit staff needed throughout time. The formal program gave tribute to the United States of America, its Soldiers and its fallen comrades who made the ultimate sacrifice in protecting the American people's freedoms. The Old Guard presented our colors while Mr. Richard "Spike" Jones sang the National Anthem. Mr. Randy Exley, the Auditor General, welcomed everyone to the celebration. We honored the memory of the fallen with a table symbolizing their fate and those they left behind. The U.S. Army Strolling Strings played music while the guests enjoyed their dinner. Finally, LTG Gary H. Cheek, Director of the Army Staff, spoke about hope in the wake of some uncertainty given the recent presidential election. After the formal program, friends and colleagues enjoyed each other's company with dancing, mingling, and photos. Some friends who had not seen each other for years caught up on what's new. Others reminisced while projected photos scrolled on both sides of the room. 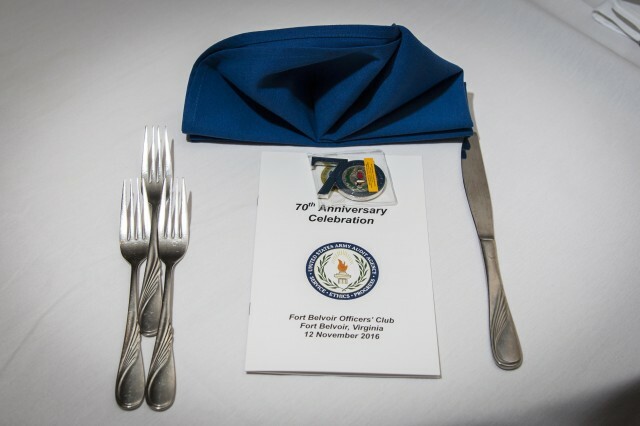 As the night came to a close, the event marked another piece of the Agency's robust history, and year 71 began.